Modern knee and hip prosthesis made by CAD Engineers and manufactured by 3D printing. Having surgery to replace both knees was no easy decision for Jon Morato, a Kaiser Permanente member in Northern California. Fortunately, his surgeon discussed the risks and benefits of surgery and helped put his mind at ease. Surgeon Thomas Barber, MD, “was very good about communicating with me and made me feel like I was involved with the planning process,” says Morato. Morato had such a productive conversation with Dr. Barber, associate physician in chief with The Permanente Medical Group, partly because of Kaiser Permanente’s National Implant Registries. 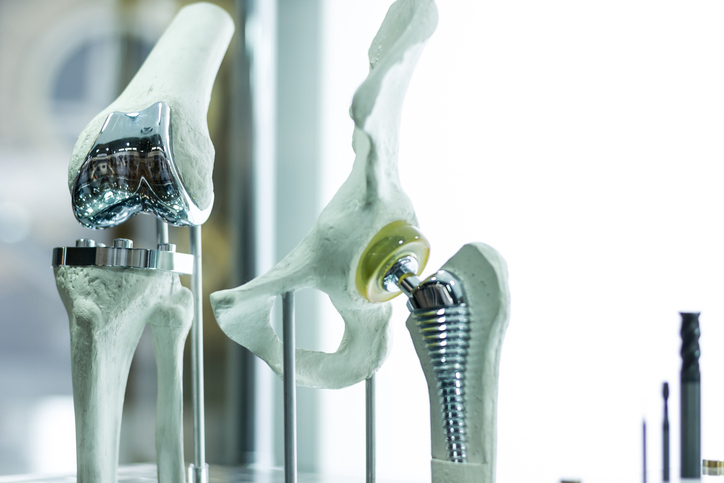 Implants, also referred to as medical devices, can include anything placed inside a patient from an artificial knee to a pacemaker. By monitoring how well these devices work, it’s easier to determine which implant is right for an individual patient, and physicians can better answer questions, address potential risks and complications, and provide the latest data on implant performance, care approaches, and patient education. In 2001, Kaiser Permanente began tracking such devices in national implant registries, databases that record and monitor almost 2 million devices in Kaiser Permanente members. The registries are the largest community-based implant databases in the nation. The registries help both physicians and patients because they improve safety, communication, and outcomes. Kaiser Permanente’s registries have become a model for other organizations wishing to track the safety and effectiveness of implantable devices to improve outcomes. Kaiser Permanente collaborates with organizations that manage registries domestically and globally to improve implant surgery outcomes and to set standards for data collection and monitoring. What sets Kaiser Permanente implant registries apart are not only their size but also their ability to leverage integrated electronic medical records to track patient outcomes over time. At no time is personal information shared, and data for all reporting is aggregated. The registries follow all existing protocol regarding protected personal health information and ethical guidelines for research projects. 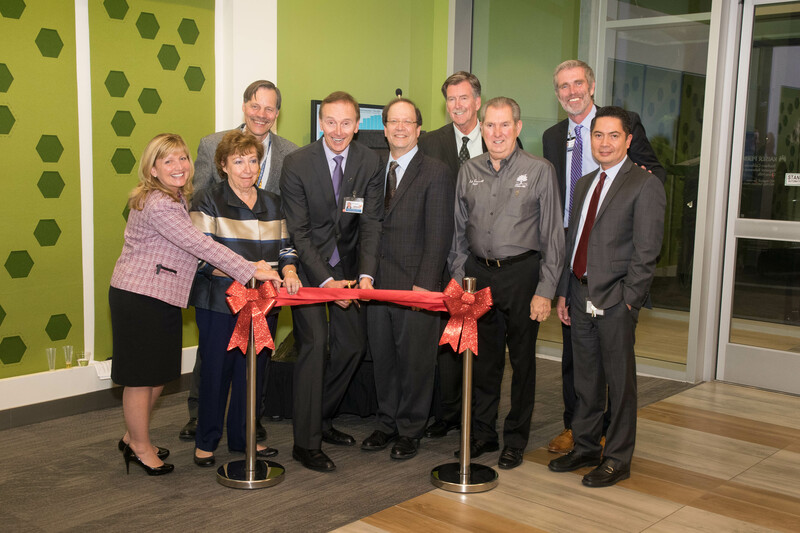 “Our Kaiser Permanente National Implant Registries empower us to effectively counsel patients pre- operatively and help make informed decisions regarding surgical treatment options,” said Eric Cain, MD, chair of the Orthopedics chiefs for The Permanente Medical Group. The registries also include calculator tools to identify key factors such as weight, height, gender, age, and certain health conditions that will influence a patient’s recovery and other outcomes. In rare cases when implants are recalled by the implant company or the U.S. Food and Drug Administration, the registries allow us to identify patients who may be affected and to work with surgeons on next steps and corrective action. Kaiser Permanente recently released its first National Implant Registries Annual Report, highlighting significant achievements in patient safety, quality improvement, and comparative effectiveness research. It was scheduled to be shared at the International Society of Arthroplasty Registries Annual Conference in late May in San Francisco. As a result of the information provided by the registries, emergency room visits were reduced by 50 percent and hospital stays have been shortened, among other accomplishments. “Within our learning health care system, the registries provide the cornerstone for patient safety and quality improvement, supporting evidence-based medicine and shared patient decision-making,” said Liz Paxton, director of the National Implant Registries. For more information, view the National Implant Registries Annual Report.